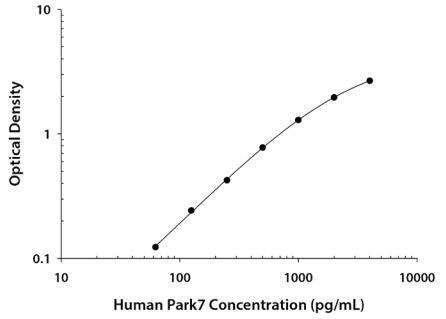 For the development of sandwich ELISAs to measure natural and recombinant human Parkinson Disease Gene7 (Park7). The Reagent Diluent recommended may be suitable for most cell culture supernate, serum, and plasma samples. The Reagent Diluent selected for use can alter the performance of an immunoassay. Reagent Diluent optimization for samples with complex matrices such as serum and plasma, may improve their performance in this assay. - The reagents are prepared as described in this package insert. - The assay is run as described in the General ELISA Protocol. - The recommended microplates, buffers, diluents, substrates, and solutions are used. Have you cited DEIABL25 in a publication? Let us know and earn a reward for your research.